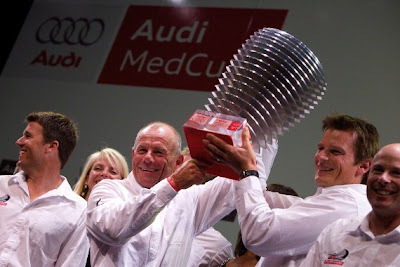 Audi MedCup Circuit winners in the TP52 Series, Emirates Team New Zealand (NZL) skipper Dean Barker (NZL) and CEO/mast man Grant Dalton (NZL), paid tribute to their entire team, shore support to sailing crew, and to Circuit’s organisers. 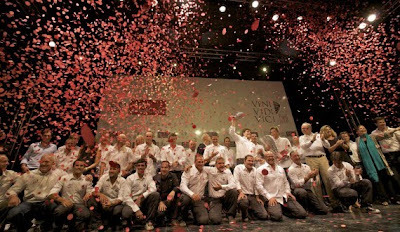 It was an emotional evening for the young Canary Islands crew of Islas Canarias Puerto Calero who won the inaugural Audi MedCup title for the GP42 Series. Thanking the Calero family for the opportunity to race on the Circuit, skipper Jose Maria Ponce (ESP) said : " We may be a young team but we have sailors with a lot of experience and I am very proud of them."